Jay Z and Beyonce were here and so was I. A cigar and a mojito. A beautifully harmonised live band playing salsa at the airport’s baggage claim area in arrivals. These are the done things. These mean you’re in Cuba. There is a true sense of awe, magic and beauty about working in Havana and especially on a grand dame like Saratoga Hotel. 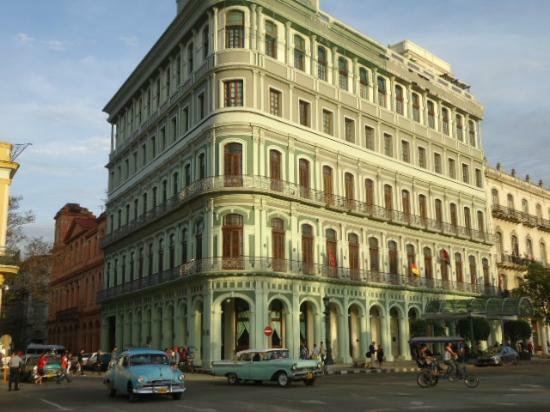 The Saratoga is a totally legendary five star hotel on a UNESCO World Heritage Site in Havana, on a corner of the old town overlooking El Capitolio (a replica of Washington’s dome). The hotel’s rooftop pool overlooks the Partagas cigar factory, El Gran Teatro de La Habana (the Havana grand opera house) and, around the corner, El Floridita, one of Ernest Hemingway’s favourite bars and home of the daiquiri cocktail. By the way, Papa Hemingway was also fond of the tiny La Bodeguita del Medio restaurant, also frequented by the poet Pablo Neruda, amongst other personalities. It is supposedly the birthplace of the mojito. I have been to these places too. There are writers, yes, but there are tourists too. Hang on a minute – I too was a writer and a tourist with a daiquiri in hand and a mojito in the other. This hotel’s colourful history is the stuff of movies. In its heyday of the 1930s, writers, artists and socialites enjoyed show like the Anacaona all-girl orchestra, who played salsa-style son music pre-dating the Buena Vista Social Club. The Saratoga declined into a sordid boarding house not long after Fidel Castro’s revolution. After the 60s it became derelict. It was fully restored in 2005. I was dead proud to have worked here in 2001-2002 with an international consortium on design development, urban planning and interior design. all of which have been restored. 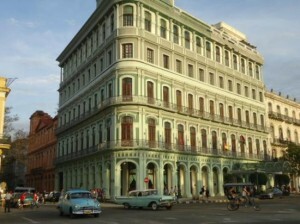 I will always love the people, the music and the architecture of Cuba. It is a time in my life I will never forget.